‘Catharina Fontijn’ is a classic peony that flowers in a gorgeous rich shade of pink. The large, luscious blooms are full and fragrant - just what you expect from a peony! Excellent cut flowers. These hardy peonies will be in your garden showing off their beauty for years to come. Enjoy! Peonies are one of the longest living herbaceous perennials often found in older gardens, for once established they will survive neglect. One hundred year old peonies are not uncommon. 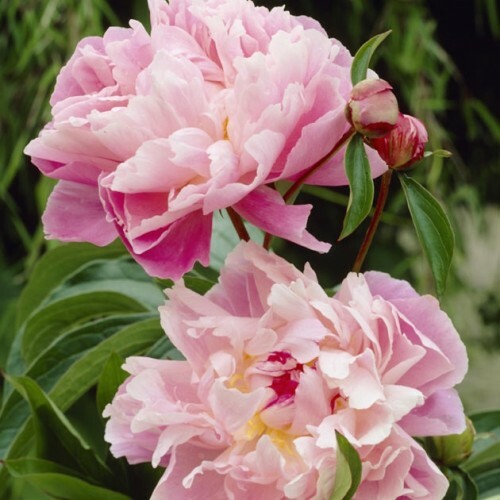 Peonies are considered to be relatively pest free and ants on peony buds are common and totally harmless. If plants do not flower, possible causes include (1) planted too deep or too shallow, (2) too much shade, (3) late frost killed buds or (4) plant is too young or has been recently moved or disturbed.